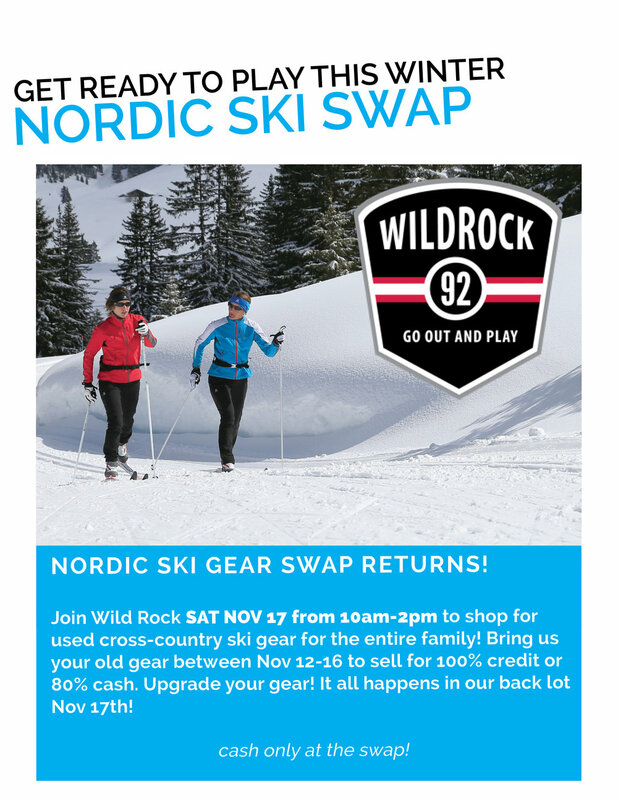 NORDIC SKI GEAR SWAP COMING SAT NOV 17TH! Our Nordic Ski Gear Swap returns Saturday, November 17th. This is your chance to grab a great deal on used cross country ski gear for the entire family - it all kicks off Sat Nov 17th at 10am in our back parkling lot. Looking to upgrade your ski gear? Sell your old nordic ski gear at the Swap for 100% store credit or 80% cash - you can bring in your gear Mon Nov 12 - Fri Nov 16th. Don't miss our Nordic Ski Gear Swap! !